The announcement follows a legislative debate about the best way to promote the data center industry in Michigan. The Switch project hinged on tax incentives that would make Michigan competitive with other states extending tax breaks to large data center projects. The bills sailed through the state Senate last week, but prompted debate in the House, which removed provisions for abatements on personal property taxes. The final package, which passed at 11:30 p.m. Tuesday, would end the tax exemptions if the data center industry does not collectively create at least 400 new jobs in Michigan by 2022 and 1,000 new jobs by 2026. The package now heads to the desk of Michigan Gov. Rick Snyder, who had sought the assurances on job growth for the project. The bills exempt all data centers and colocation businesses from the sales and use tax on data center equipment for 20 years. The legislation applies specifically to companies generating 75 percent or more of their revenue from the data center business. The project will be built around the Steelcase Pyramid, a unique office property built in 1989 by the Steelcase furniture company. It was vacated in 2010, and later purchased by Norman Properties, which also owns a Reno, Nevada property where Switch is building a data center campus. 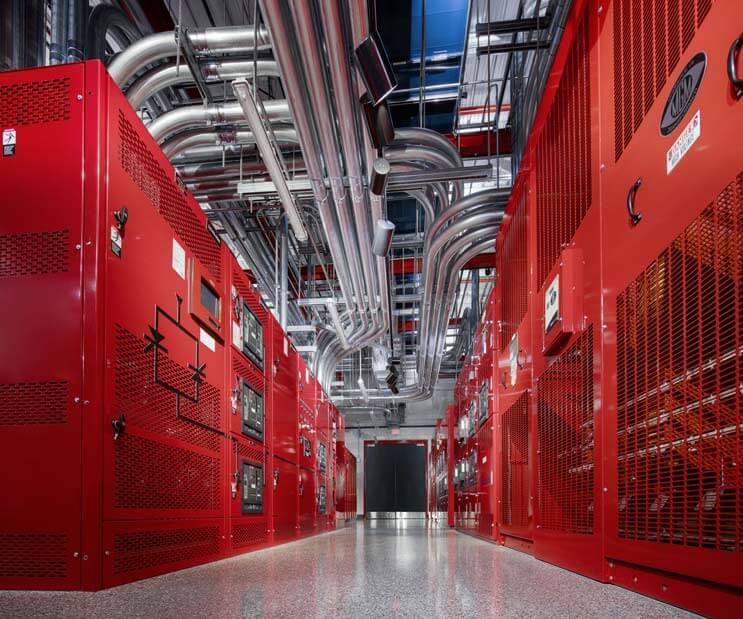 The original SUPERNAP data center in Las Vegas was a pioneer in hyperscale computing, spanning more than 400,000 square feet and featuring the design vision of Switch founder Rob Roy. Innovations in airflow containment and multi-mode cooling helped establish the SUPERNAP as a leading destination for high-density computing, supporting workloads up to 1,500 watts per square foot. Switch has added two more huge SUPERNAP buildings, expanding the campus to more than 1.4 million square feet of data center capacity. The Switch SUPERNAP Las Vegas project was recently name the number one cloud campus in our rating of the world’s Top 10 cloud campuses. Switch’s 1,000 clients include eBay, Intel, Shutterfly, Machine Zone (Game of War), Amgen, Dreamworks, HP, Intuit, Hitachi, JP Morgan Chase, Sony, Boeing Cisco, EMC, Google, Amazon, Time Warner, Eli Lilly, Activision (Call of Duty) and Fox Broadcasting, among many others. Switch has also announced plans for a 6.4 million square foot development in Reno that will be the world’s largest data center campus.